Everyone's favorite late night host has been promoted again, this time to the role of father! 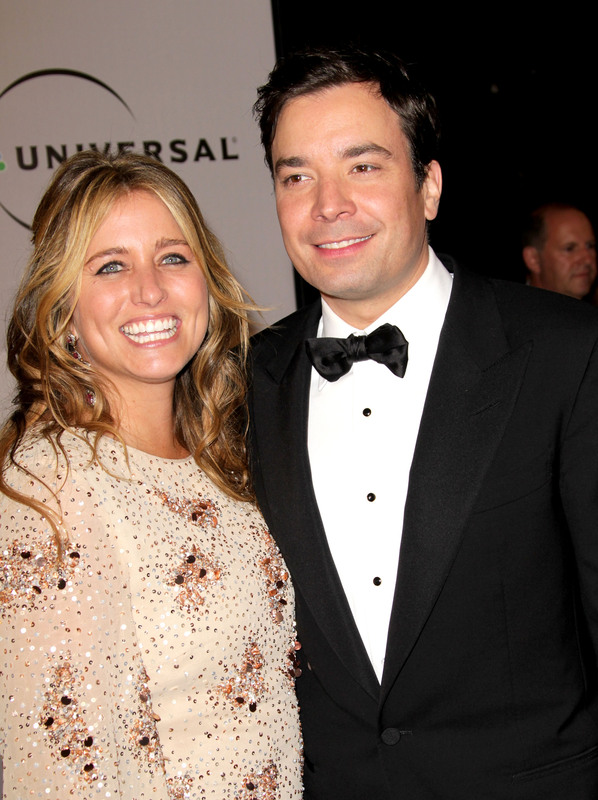 Early this morning, Jimmy Fallon and wife Nancy had a baby girl. It's the couples' first child — Nancy, 46, and Jimmy, 38, were married in 2007. Pretty sneaky, to have a baby while everyone is watching William and Kate. Just like the royal couple, the Fallons have yet to announce their baby's name. The Fallons might throw us for a loop and call their girl something totally out of the blue, like Blue, but considering this is the same man who named his female Golden Retriever Gary, we have a feeling her name will be err more masculine than esoteric. Maybe Tyler? Or Alex? Or ... Jay? His poor daughter can only hope to be half as cute as Gary, though. Look at her! Congrats to Jimmy and Nancy and Gary.